SINGAPORE, Nov. 26, 2018 /PRNewswire/ Singapore-based startup CSE SG Pte Ltd unveils the Smart Contract 2.0 solutions which runs on their CSE 3.0 platform. Mr Leo Lu, Board Advisory Member (R&D) of SRI Capital, finds CSE very innovative in the blockchain space with a lot of application usage base, which allows CSE to be the next generation the 3.0 of blockchain. 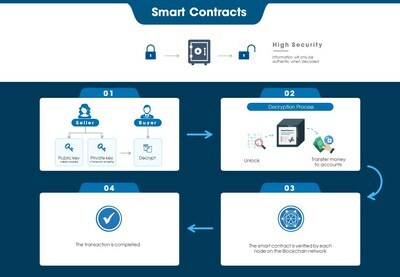 Leo, who is also part of the Business Development team of CSE in the USA, reveals that over the last 2.5 years CSE has invested in Smart contract 2.0, a tool that allows an average user without coding experience, technology experience or legal background to create their own contract.